A campus-wide installation program and commitment to contemporary art shapes Johnson County Community College as a cultural destination in the heartland. While the Nerman Museum of Contemporary Art bears the words museum and art within its title, students and guests to the Johnson County Community College need to keep their eyes open for other “pocket” installations of art. As an example, 45 large paintings can be found near the dining hall. Sixteen significant sculptures are scattered around the campus grounds. The culinary center which opens in the fall will be home to a significant collection of contemporary ceramics. The General Education Building will be filled with clay as well. Hartman expects the college to be a destination if Kansas City wins the bid to host the 50th anniversary conference in 2016 for the National Council on the Education for Ceramic Arts. He says several ceramics professors and professors emeritus from the Kansas City Art Institute may have the pull to bring this conference to the area. Being at the Nerman, there is a palpable energy. Not only do professors bring their students to look at the art, adult learners spend time in one of the classrooms, finding out about Middle Eastern art. Perhaps in the larger Hudson Auditorium, adults and students alike can participate in a lecture on fly-fishing or on Third Thursdays, two artists are brought in and paired with a professor who serves as a moderator. Kansas City artists Anthony Baab and Jarrett Mellenbruch are scheduled for March 28 for a Third Thursday lecture. Hartman says they have hosted seminars for local law enforcement. “During a break, some of the officers noticed the Do-Ho Suh’s Some/One (2004) piece with its elegant silver shining down the hall. Then they looked closer at the thousands of dog tags and that sparks a conversation about service. In that moment, these officers are impacted by the art. Perhaps some of them returned to take a stroll. That’s what we believe … exposure is the key.” The work is a tall, hollow robe that represents Suh’s two years of compulsory service in the South Korean army. The tags are printed with meaningless Roman letters and Arabic numerals, which are designed to emphasize the anonymity of soldiers massed together. Another exhibit is Asad Faulwell’s Pins and Needles. It’s his first museum solo show and will feature nine medium to large scale pieces. He is a young artist based in Los Angeles and graduated with an MFA from Claremont Graduate University, just as Hartman did. “The interesting thing about Asad’s art is his subject matter. While it is beautiful and colorful as we expect with Middle Eastern art with the textiles, mosaic patterns and colors, his subjects include Algerian women who served as freedom fighters against the French. He talks about them as martyrs, victims, aggressors and terrorists, but never seen as heroes in their own country. Once the French left, the Algerian men rose up and these women were cast out. In light of Arab Spring, this work may resonate a little louder.” This exhibit remains through the middle of April. Another asset comes from supporters and art collectors Marti and Tony Oppenheimer. The 20th anniversary of the Oppenheimer art collection was just celebrated last fall with more than 500 artists, art dealers and art aficionados from Chicago, Wichita, Little Rock, Ark., and other cities across the nation in attendance. They also included friends from Sotheby’s in New York, the National Gallery of Art in Washington, the Museum of Contemporary Art in Los Angeles and the Los Angeles County Museum of Art. Hartman and the Oppenheimers also unveiled more than 15 new gifts from the Oppenheimers. They included another painting from Dana Schutz, whose Swimming, Smoking, Crying graced the cover of Art in America in November. Other artists are Nick Cave, Kim Dorland, Asad Faulwell, Kirk Hayes, Angel Otero, Cordy Ryman, Kent Michael Smith, Stefanie Gutheil, Lonnie Powell, Ian Davis, Allison Schulnik, Leidy Churchman, Brian Calvin, Warren Inessee and Brian Tolle. The Oppenheimer Collection has grown to become the core of the museum’s permanent collection. It includes sculptures, paintings, photographs, ceramics, new media, textiles and American Indian art. 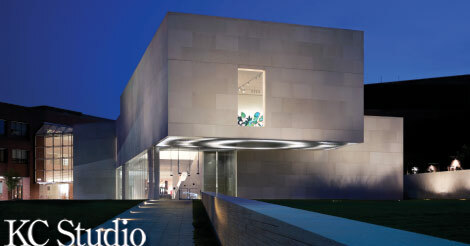 When construction of the Nerman Museum was initially announced in 2003, the Oppenheimers immediately offered to take on the challenge of filling the museum’s galleries. They also understood the importance of providing an art experience throughout the campus.